This review was ready somewhere mid-March, before the release date was set back for seven months. The album cover has changed. It used to be a photo from some long forgotten western movie. The album's ending is different. The spoken word is gone. All a matter of copyright (not) clearing. The new cover art is superior to the old one. So that is positive. The review starts somewhat confusing, were it not for the explanation just provided. The cover of Ain't No Place takes me back to long ago Saturday afternoons 16.00 hours. The BRT, Flanders regional broadcast station played black and white movies of the 40s, 50s and early 60s. So yes, cowboy movies were certainly present there. The first notes of Ain't No Place takes me back to the spring of 2013 instantly at the moment those TMGS trumpets adorn the opening track 'The Wasted Years'. 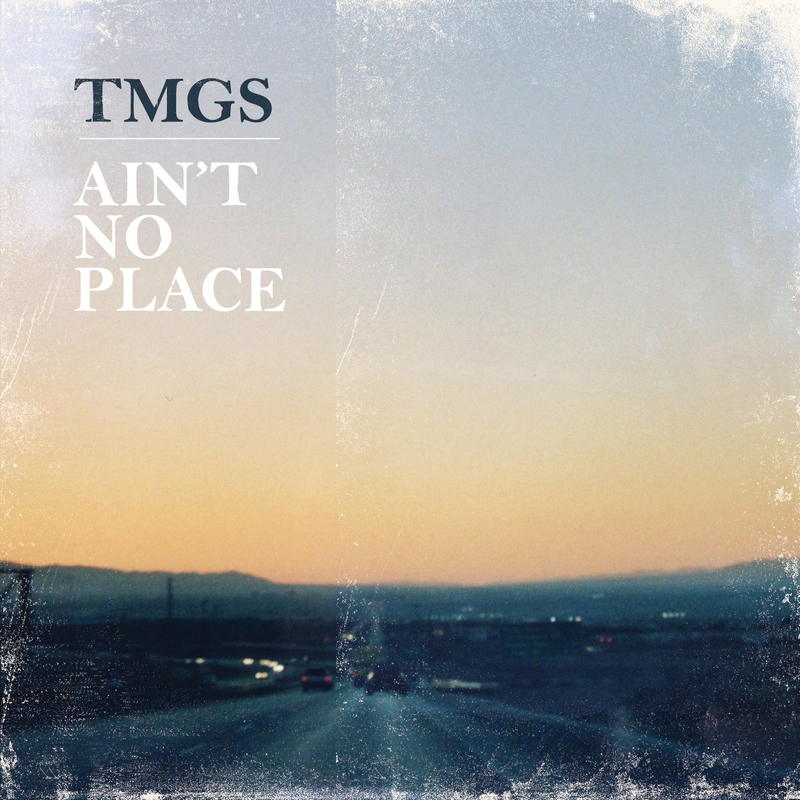 TMGS released one of the best records of this decade with 'Rivers And Coastlines: The Ride'. Except for a few songs, the band became silent for five years. A bass player left, his replacement also. The record label folded. But yes, rumours spread via an a-mail proved true. This winter I received an e-mail announcing a new album and the chance to listen. That's just what I have been doing over the past weeks (now months). A TMGS album with the same impact on me like 'Rivers And Coastlines: The Ride' is impossible. For that the sound is too familiar in 2018. Everyone has albums like that, albums that become a part of you. Ain't No Place does not surpass its predecessor. I started playing that album again, and a lot at that. So, having that out of the way, I can focus on Ain't No Place. What a fine album TMGS has produced. Its melancholy sound, captured in the voice of Peter Lodiers, who sings like he is missing something or someone on a permanent basis, and in the music that surrounds him, is of astonishing beauty. It will only be a matter of time before the songs will become a part of me as well. 'Holding The Reins' is a song that starts with a fiery guitar intro. 'The east wind is coming". If it's winter it will be cold. The singer is on route on roads that will bring him home. Like in my interview with band in 2013, I still wonder whether the grass is greener for Lodiers at home or elsewehere. It is hard to tell as he's always in transit it seems, whether on route, coming or going. The music holds a fine tempo, intricate guitar playing, a tough rhythm guitar, while the Hammond meanders right underneath the surface to emerge for a solo in between the guitars. Listening to a song like 'Holding The Reins' I can't help but wonder how it can be that hardly anyone seems to notice a band that is this good. In part that may be the level of ambition of the musicians themselves. Maybe they are happy just releasing a fine record?, I can't tell. 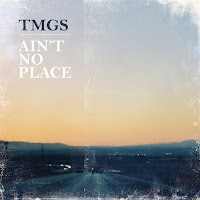 Fact is that Ain't No Place, again, is a record by TMGS that deserves to be heard. The soft country-tinged songs all hold an intrinsic quality and inner beauty that makes them aglow from within. So much work must have been put in arranging the songs and work out all the fine details to make them flow so effortlessly. Ain't No Place does not hold one single song, that is not made out of intrinsic, inner beauty and details to live and die for. The arrangements are at times so brittle and delicate that I dare not move while listening in fear of breaking something. And on top of that the trumpets of Bart Raats and Brent Cuveele hover over it all. The icing and cherry on the already far too good tasting and devilishly addictive cake. Just listen to the intro of 'Cold Day On The Lake'. Do I need to write more?